You were looking for something new and experimental and got your hair cut short but now regret because you thought long hair had more perks when it came to hairstyles? Buhahahah! You are wrong! Have you made note of the fact that short hair is actually easier to maintain and brings a fresh look to the face. Short bangs left loose make you feel lighter and gives your hair a healthier look. Now that you are convinced and happy that you are looking cute with this new cut, go for classy styling with these Easy Hairstyles For Women With Short Hair. 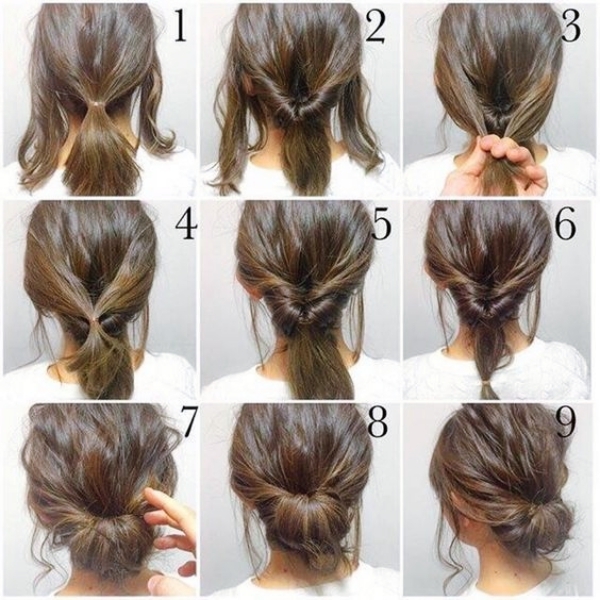 Many people find it hard to tie a bun in short hair, but it is not as hard as it seems. 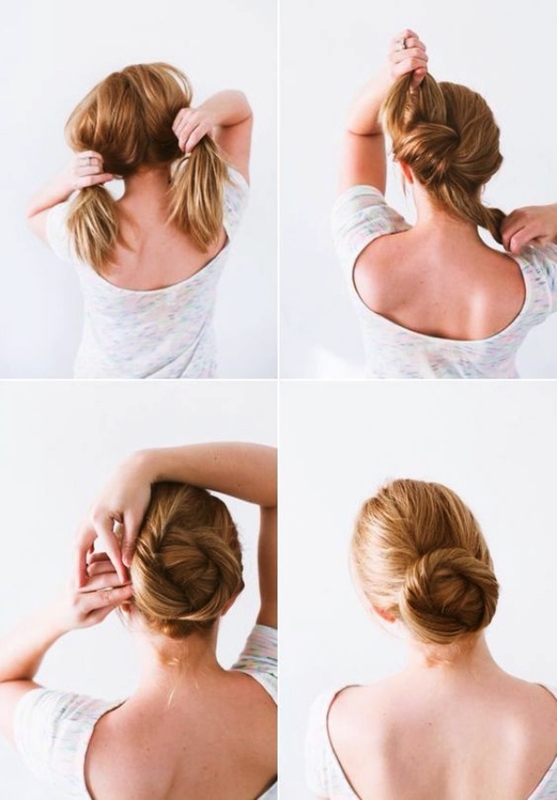 Swirl bun is really easy to up-do and gives your personality an elegant look. 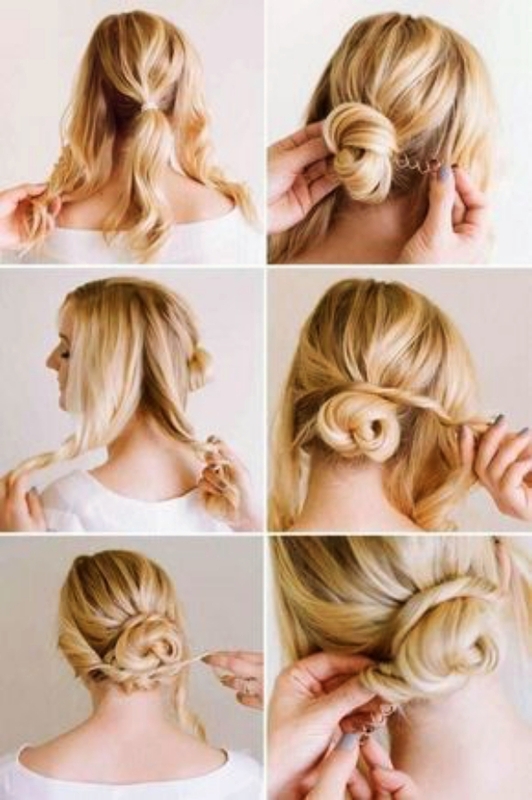 Swirl bun will make you stand out in a prom night. This gives your hair a really nice look and can be worn out on both ethnic and western clothes. Start by diving your hair into two sections. Now take another strand over to the other half, and then take a piece from the outside of that section and braid the opposite way. Continue this activity towards the fine end and then tie with a hair rubber band. 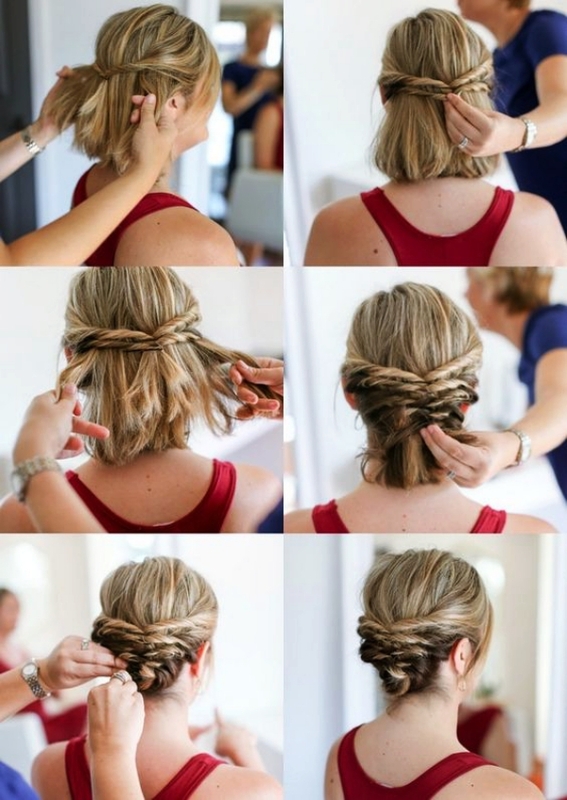 This is an easy and pretty hairstyle for women with short hair. Braids, after all, are life saviors! Curls are always fascinating in short hair, because they give a bouncy and feathery look to hair. This hairstyle is really easy to follow up, just curl up your hair from the end and set your hair and you are ready to slay. 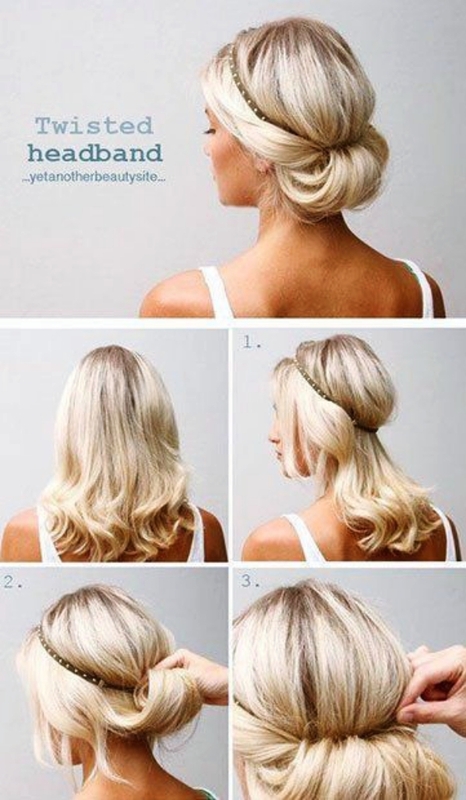 This is another easy hairstyle for women with short hair. Take three strands of hair from the front and cross them against each other in a braid, now take another strand of hair and mix it with the front most strand and make a braid, now add another strand and repeat the activity towards the end and tie it with a hair clip. Start by selecting three strands of hair from any side (right or left) and take it towards the other side, from the backside of your head. Take the first three strands of hair and start braiding, but after every braid drop the last strand of hair, instead take a new strand and make a braid, now again drop the last strand and take another. 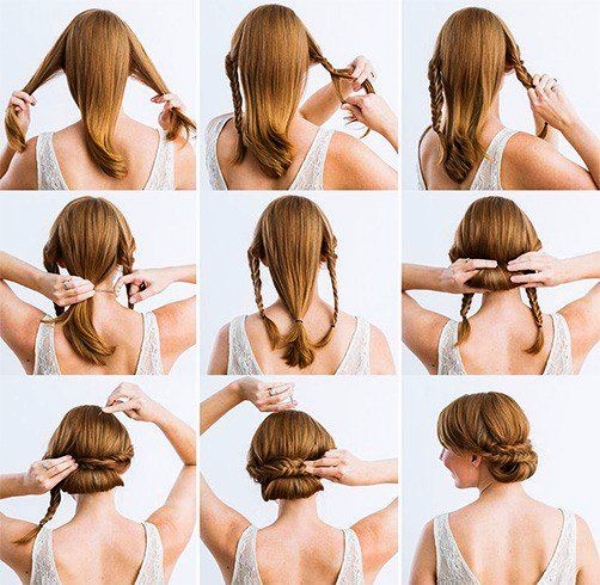 Continue this activity till you reach the other side of your head.